It’s that time of year when everyone is on the New Year resolution train. Not something I ever take part in. I’m a pretty consistent goal maker all year long. It’s also that diet and exercise time of the year. Also very rare for me to ever diet and I try to maintain a consistent exercise schedule. I try to eat healthy (at least most of the times) and am a big believer in portion control. Now if I find something I like that I can add into my daily life to help with cutting calories, I usually do it. For me that something is Silk Almond Milk . I use it all the time as a milk alternative. And for the record, they aren’t paying me, they aren’t sponsoring me, this is just my opinion. I have zero aversions to dairy. I grew up on it, love it and enjoy it daily. But as I got older I discovered Almond milk. My previous career I was a heavy duty traveler and it made me crazy to come home from a week or two of travel and have nothing in the fridge. Usually I was home for a day then head back out on the road again. This is where I found a love for soymilk, almond milk and many dairy alternatives. The shelf life of these products was just heaven for me. I loved the taste of them so why not incorporate them into my life. This is a super easy recipe. I used a 3″ square cookie cutter to make the scone then used a knife to cut the square into little triangles. If you want, you could easily freeze the dough once your have it cut and pull them out as you want them and bake instead of baking the entire batch all at once. I also topped these with a glaze made from powdered sugar and almond milk. If you didn’t want to do that it’s fine. Skip it, or even sprinkle on some sugar in the raw before baking. It’s entirely up to you. What are some of your things you like to incorporate into your diet to help with reducing calories or eliminating dairy? 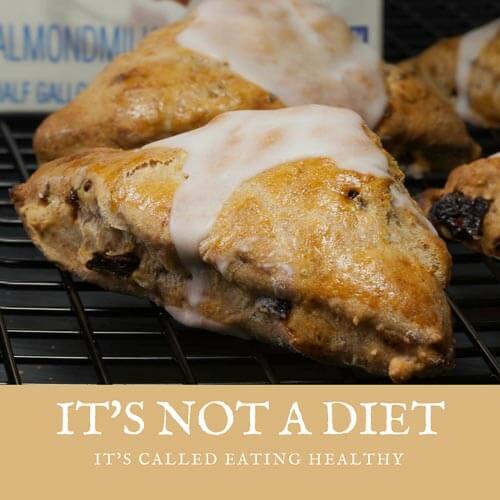 And if you just love dairy and aren’t giving any of it up, we also whipped up a chocolate cranberry scone that is pretty delicious. I hope you enjoy these as much as we do. Please share if you end up making them. Happy New Year! In a large bowl stir together flour, sugar, baking powder, and salt. Add the canola oil. Do not overwork the dough. In a medium bowl combine eggs, almond milk, almond extract. Add egg mixture to flour mixture. Stir using a fork until just moistened. 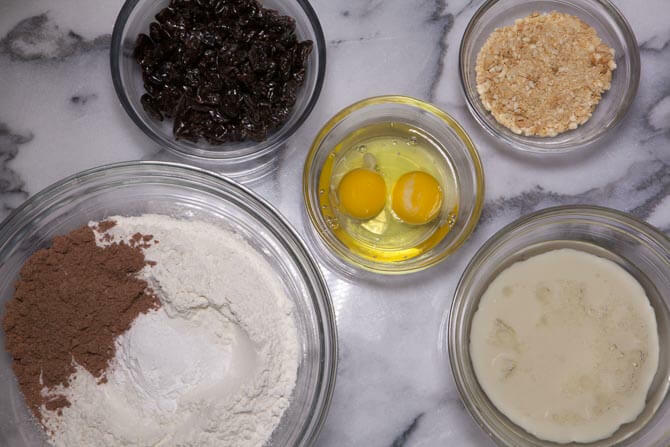 Add the almonds and dried cherries and continue to stir until just moistened. Turn dough onto lightly floured surface. Knead dough for 10 - 15 strokes until it is nearly smooth. Divide dough in half. Roll each portion into a 6" square. Cut each square into four squares. We used a cutter. Then cut each square into half diagonally to create triangles of dough. Place on an ungreased baking sheet. Brush the triangles with additional cream. Place these in the freezer uncovered for about 30 minutes. Remove from freezer and bake for 12 - 15 minutes until golden. Cool slightly and drizzle with glaze. In a small bowl stir together the powdered sugar, almond milk. 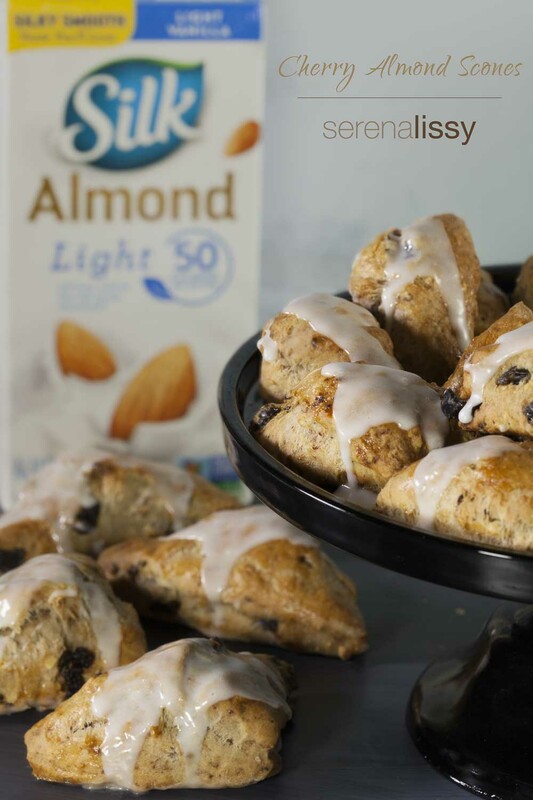 Stir in additional almond milk if needed to reach a drizzling consistency. You are right, they are so underrated! I love them. I am such a fan of scones and these sound really tasty! Scones are one of my favorite breakfast treats. Love the flavor combo of these! And such a brilliant idea to use almond milk for extra flavor and as a healthier option. Yum! 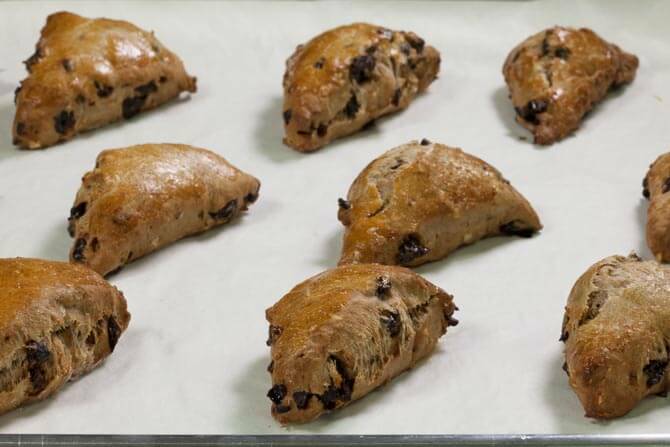 There’s nothing better than scones at tea time to make your regular, everyday snack feel super glamorous and luxurious!! I haven’t made scones in ages, these sound delicious. I haven’t found a love for milk alternatives yet but pretty sure it’s just a matter of finding the right style for me! Definitely takes a bit of tasting and trying the other brands out there. You could easily use milk in this recipe instead. Same amount. Yum! Cherry and almonds are an amazing combo. These bites are the perfect size too, I’d love to make this delicious recipe! It’s super easy. Give it a try. I love scones. There isn’t anything quite like a fresh cup of coffee, and a scone for breakfast. This flavor combo sounds perfect. I love recipes with almond milk. I should definitely try to make those with egg replacer. Looks so tasty. Give it a try. Please share if you use the egg replacements. I’m curious how it turns out. I love scones, but I have never tried making them myself before! I totally love almond milk too, so I am for sure trying this recipe out soon. Oh my goodness! These sound amazing. My husband and I love scones, and I make them often. I’m going to try this one. Cherry and Almond sounds just deliicous. These scones sound amazing. I love that they have very little sugar in them and are made with healthier options. These look so good. I have to save and try this recipe later. I adore scones. And this flavor combo sounds delicious! I never baked with almond milk. But, it must add so much flavor to these scones! Yes, it definitely gives them a nice flavor. 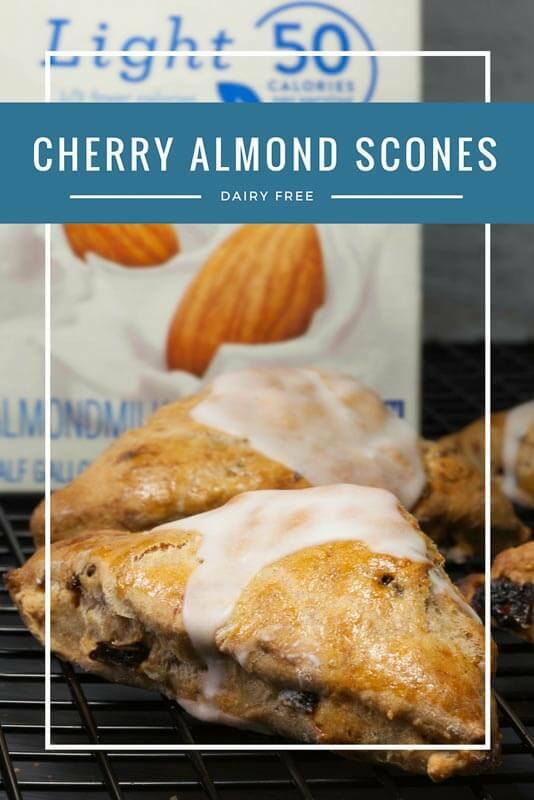 I love making homemade scones, and cherry and almond are such a great combo! I will have to give these a try. My daughters love vanilla bean scones from the coffee shop. They would definitely love it if I made them at home but these look even better! What a delicious treat for home. There is something about reading recipes that makes the impossible seem possible. I cant wait to try this. Great post! Scones are so delicious! I have never tried a cherry almond variety though and these sound like they would be so good. Give them a try. I love the cherry almond flavors.